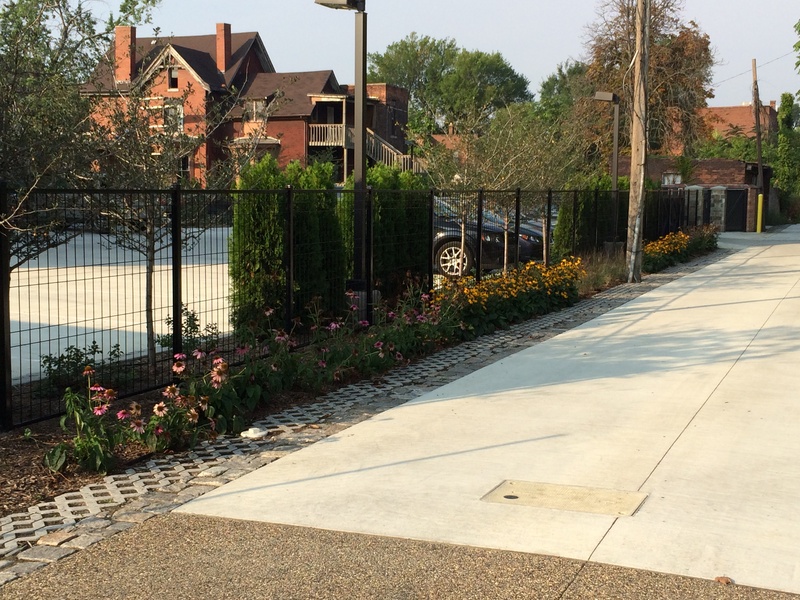 There is a concerted effort throughout the Midtown Detroit neighborhood to reclaim the historic alleys to offer safe and inviting connections and gathering spaces. 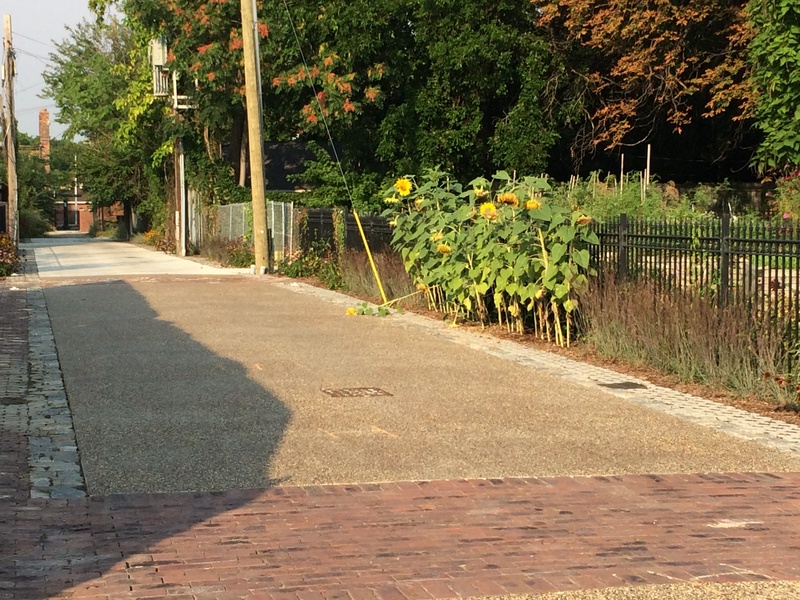 The El Moore green alley is the latest of these transformations. The El Moore project is an ongoing exploration of the nature of sustainable urban living. Its five components: a residence, a lodge, a park space, a seasonal store, and a green alley will revitalize the corner of Second and Alexandrine by offering residents, neighbors, and travelers new ways to connect with each other, the built environment, and the natural world. 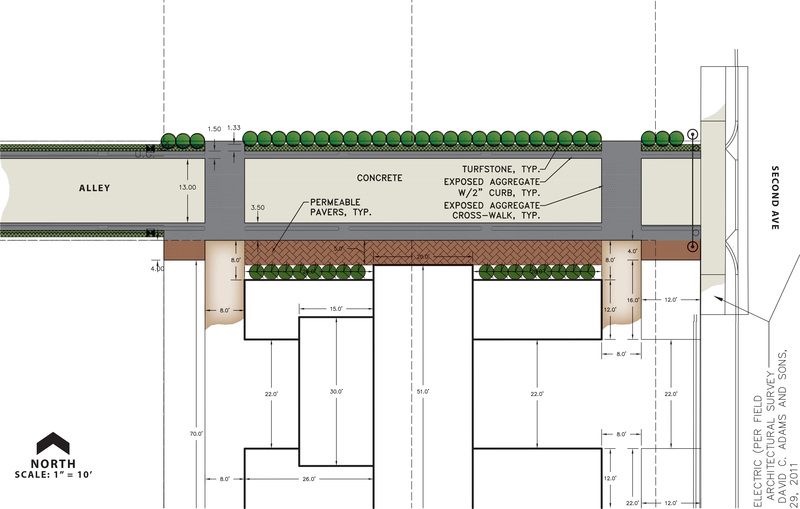 livingLAB assisted in the development of landscape and materials plan for the green alley adjacent to the historic building constructed in 1898. 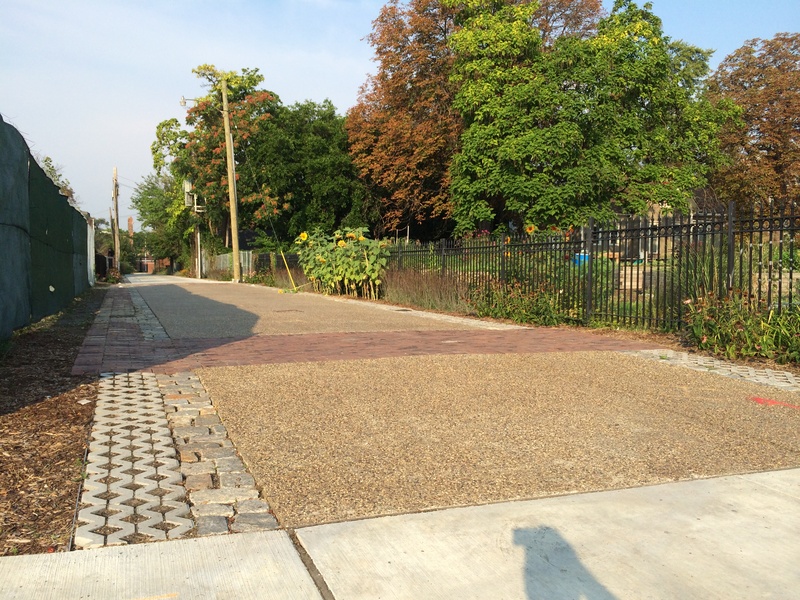 The alley incorporates reclaimed granite cobbles, turfstone, reclaimed pavers, and native plant materials.